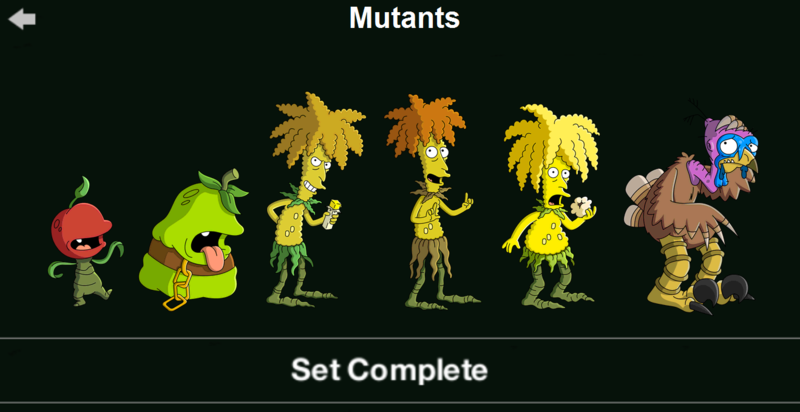 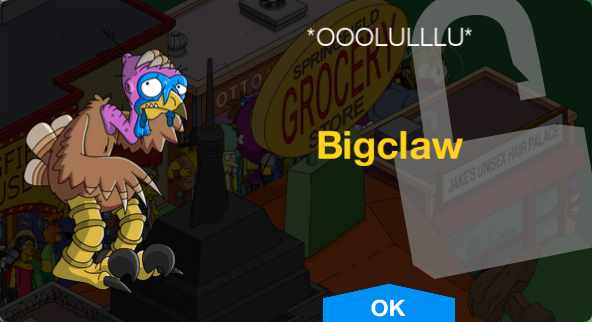 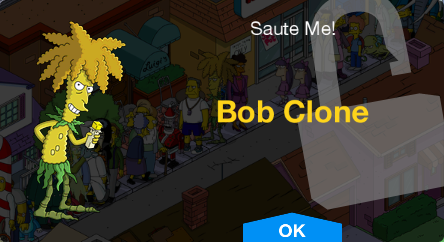 Mutants is a character collection in The Simpsons: Tapped Out. 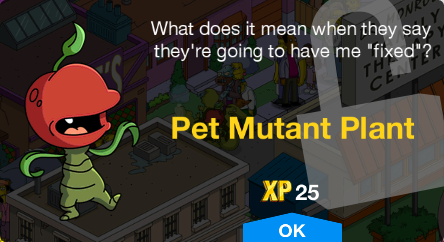 It is made up of mutant characters. 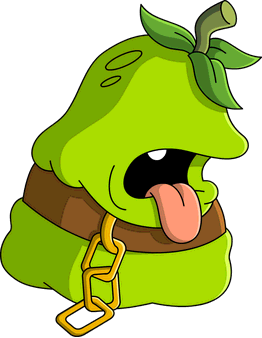 Opens its mouth and drools when tapped. 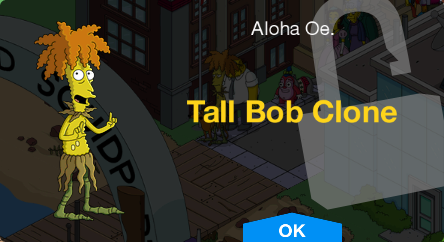 Rubs his chest when tapped. 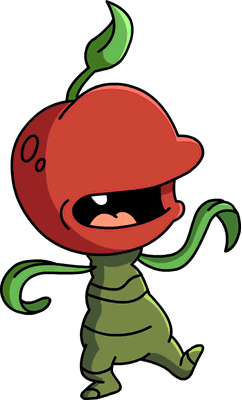 Spouts popcorn from its hair when tapped. 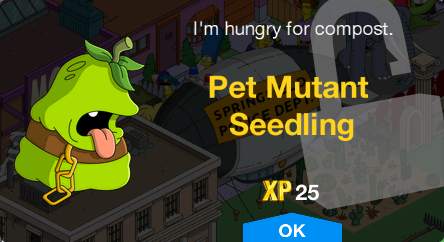 Tapping it 3 times a day yields 50 and either 250, 500 or 2 each time. 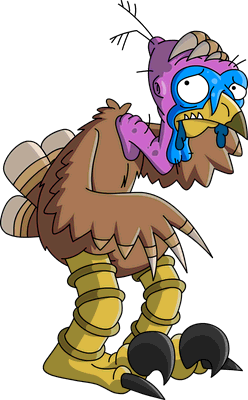 Modified on December 5, 2018, at 19:21.